Get the NIVEA glow that lasts. 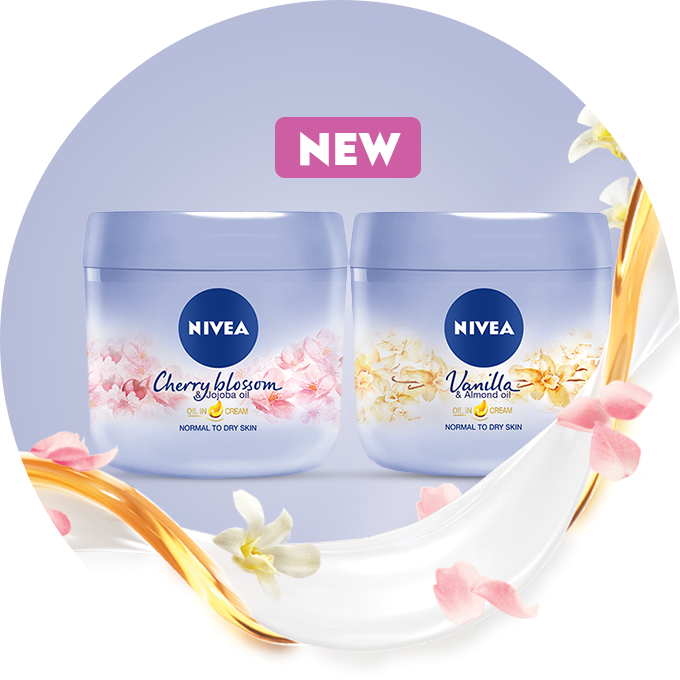 Discover the new NIVEA Body Oil in Lotion; precious oils meet deeply moisturising lotion – in a rich Vanilla, fresh Cherry Blossom or Orange Blossom scent – for silky smooth, softly scented and beautifully glowing skin. Unlock the secret to beautifully smooth and naturally glowing skin. Relax your senses with the delicate, fragrant scents of rich Vanilla with Almond oil or fresh Cherry Blossom with Jojoba oil, leaving skin beautifully scented. 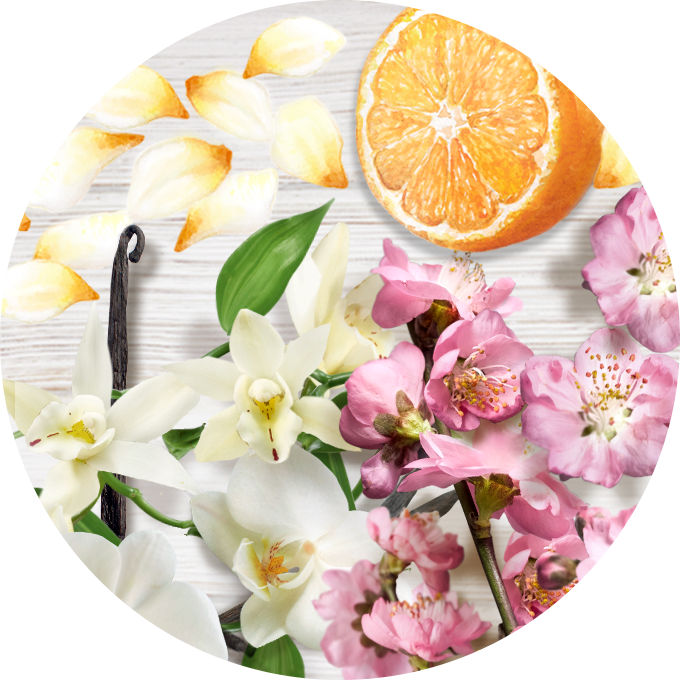 Indulge your senses with the fruity citrus and creamy notes of fresh Cherry Blossom, Orange Blossom or the rich Vanilla scent with note of rose and iris. Give your skin what it deserves with the care of ultra moisturising Jojoba Oil, Avocado Oil or Almond Oil. A world of possibilities awaits, so get ready to get up and glow. 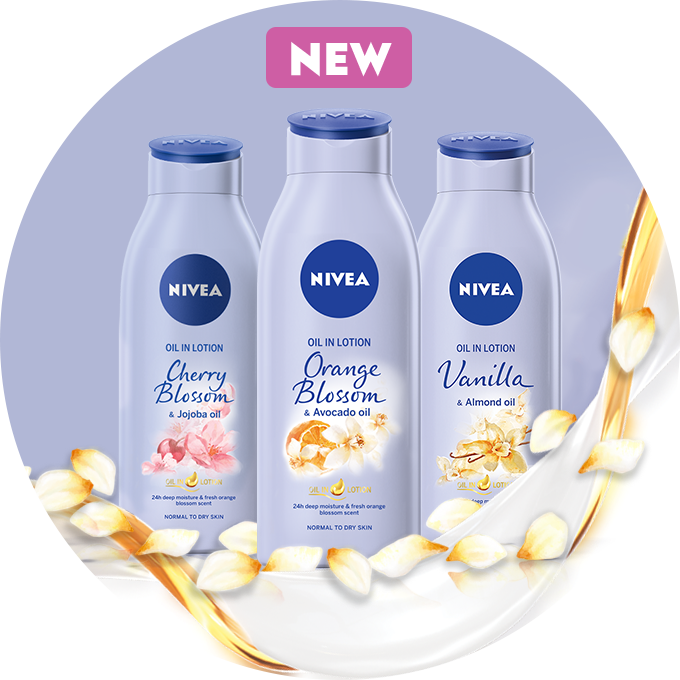 Discover the new NIVEA Body Oil in Lotion range by watching our newest TV spot.